We kicked off the first week of the New Year with a look at what’s to come in 2013. Jennifer shared 13 wonderful reasons to visit the Walt Disney World Resort during the year that included a visit to Princess Fairytale Hall when it opens in New Fantasyland. 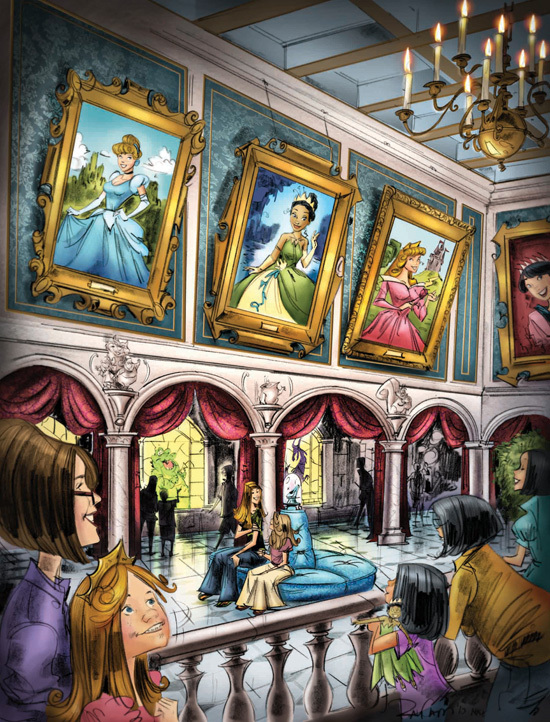 Princess Fairytale Hall will be the new home for Disney princesses to meet their loyal subjects in the Magic Kingdom Park. Check our original post to see the rest of the list. And we recognized a couple who reached the milestone of visiting the Disneyland Resort every day in 2012. 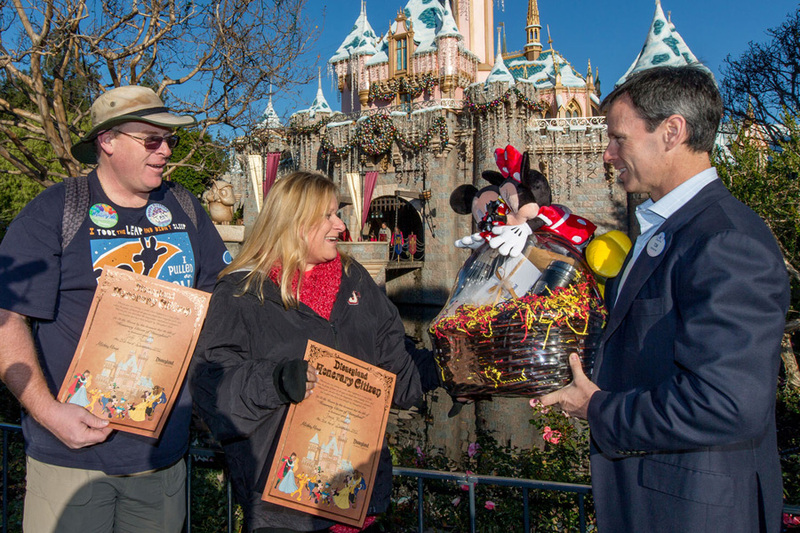 Jeff Reitz and Tonya Mickesh received a special welcome this week from Walt Disney Parks and Resorts Chairman Tom Staggs in front of Sleeping Beauty Castle. Erin has more in her original post. Here are some of the other stories we worked on to begin January. 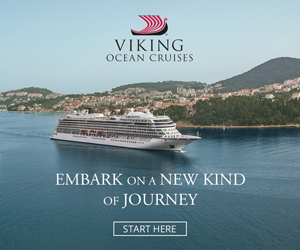 Exploring Costa Rica with Adventures by Disney – Ready to book a Costa Rican adventure with Adventures by Disney? Here’s a sneak peek at some of the local inhabitants you can expect to see. New Posters from Disney Design Group Highlight the Luckier Side of 2013 – Who said the number 13 was unlucky? Disney Parks Blog author Steven Miller shares a first look at new artwork showcasing the luckier side of 2013. Happy Haven: Mandara Spa at Disney’s Grand Californian Hotel & Spa – Take a look inside the happiest spot inside the Happiest Place on Earth, Mandara Spa. ‘Destination: Cars Land’ Makes its Rose Parade Debut – Did you see the “Destination: Cars Land” float in this year’s Rose Parade? If not, don’t miss this video recap! Experience the Sights and Sound of Africa at Disney’s Animal Kingdom, No Passport Needed – Let Walt Disney World Resort photographer Gene Duncan take you to Africa without leaving the comfort of your home.